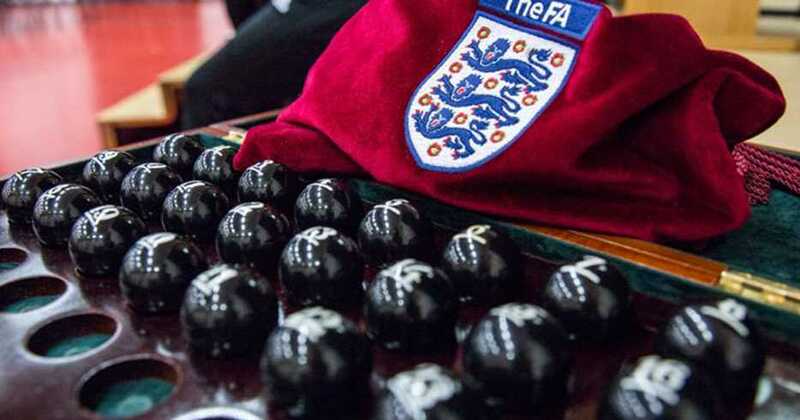 The FA Cup Third Round draw was held at Stamford Bridge this morning. Aside from Paul Ince conducting the draw and somehow drawing two of his old teams against each other (Wolves v Liverpool), it’s an entirely boring draw – with the exception of some non-league clubs drawing some Premier League behemoths, which appears to happen every year. I would be surprised if anyone, without Google, could remember the last time a top 6 team (Tottenham, Manchester City, Liverpool, Chelsea, Manchester United, Arsenal) played another top 6 team in the third round of the FA Cup. What are the chances of this happening? I have attempted to actually work this out. And before any mathematicians or nuclear scientists cry foul, I am fully aware there was a reason why I didn’t do calculus at high school and that some of these numbers might not be 100% accurate. In the third round draw there are 64 teams. If I am pot #1, and my number is drawn first, I have a 1/63 chance of drawing any specific other team (approximately 1.5% chance). So if pot #1 happened to be Tottenham and it was drawn first, there is a 1.5% chance that Tottenham would be drawn to play against Arsenal. With me so far? Good. Let’s take the same starting premise that Tottenham is pot #1 and is drawn first. There is a 5/63 chance (or approximately 8% chance) that Tottenham will be drawn against one of the other five teams that make up the top 6. Now I’m aware that these probabilities will change as the draw goes on and some teams are drawn and no longer become part of the equation. But as a starting point, 8% is a good enough figure. That means each time a top 6 team is drawn in the third round, there should be a roughly 8% chance of them being drawn against another top 6 team. Top 6 teams have been drawn 30 times in the past 5 years. You would expect that, based on an 8% chance, there would be between 2-3 top 6 derbies in that time. How many have there actually been? 0. Let’s go back another couple of years. Top 6 teams have been drawn 42 times in the past 7 years, and based on an 8% chance, there should be between 3-4 top 6 derbies in that time. We’ve only had one. And it just so happened to be the North London Derby. If we include Everton into the mix in the past 5 years? The top 7 teams have been drawn 35 times, and we should expect there to be a roughly 10% chance of one of them being drawn against another, so there should be between 3 and 4 top 7 derbies in that time. We’ve only had one. And it just so happened to be the Merseyside derby. The last time Manchester United or Manchester City had to play a top 7 team in the third round? 2011. And it just so happened to be the Manchester derby. The FA have (recently at least) been awfully lucky that the big teams generally avoid each other until the latter stages of the tournament, and when they don’t, it just so happens to be a huge derby match.